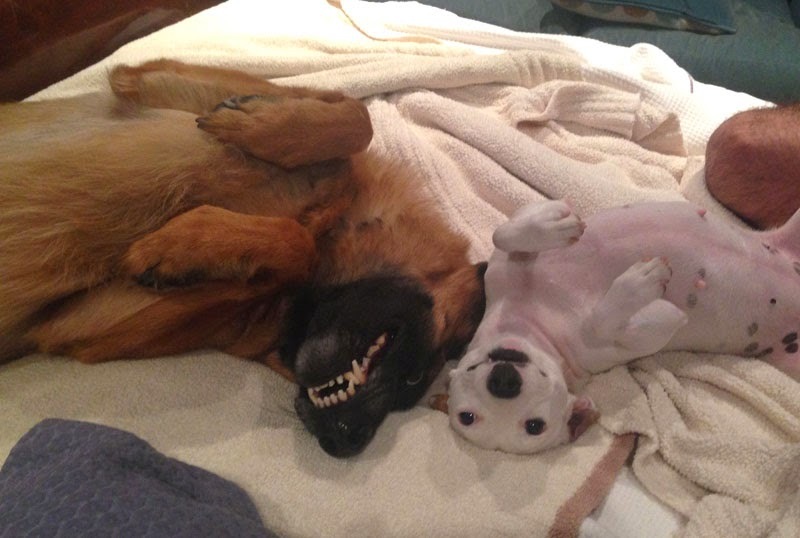 I created a new dog treat recipe for Indigo and Lily and they loved them! 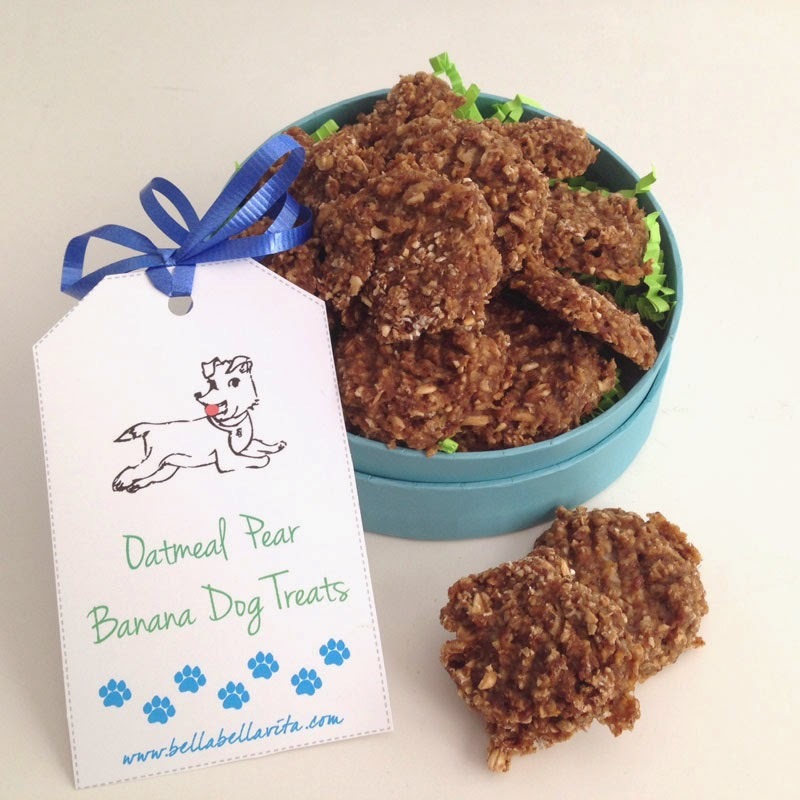 My Oatmeal Pear Banana Dog Treats are gluten-free and packed with lots of vitamins and fiber. They smell so wonderful that I ate one myself! Pears are a great source of antioxidants, vitamin C, minerals and fiber for your pup (ref ehow). Bananas have lots of electrolytes, amino acids, vitamins, potassium and fiber for your pup (ref: Paw Nation). Mix all dry ingredients together in a medium bowl with a whisk (oat flour thru ginger). Peel and core pear*. Puree in a blender or cuisinart (I use a mini cuisinart). Combine wet ingredients (pear puree through molasses) in a bowl and blend with a whisk. Bake 12 minutes. Cool on wire rack. Store in the refrigerator as there aren't any preservatives used. Treats should last up to 2 weeks in the refrigerator. * IMPORTANT: make sure you remove all pear seeds before you puree. Pear seeds contain cyanide and can be toxic for dogs.